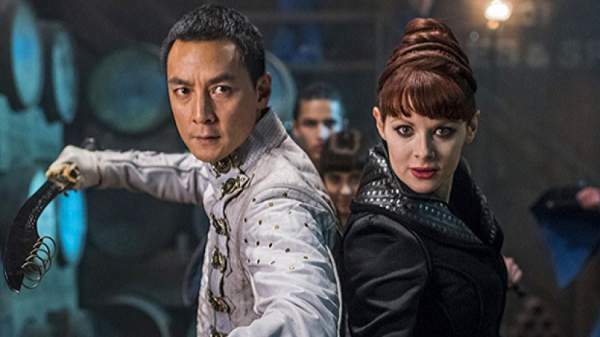 Into the Badlands Season 3: The news came out about the upcoming ITB season 3. Yes, it’s happening! AMC will release it soon. What a mixture of apocalyptic background with symbolic martial art tropes! The fans are eagerly waiting to see what happens next. Season 1 released in 2015. Later on, with the second installment, things got much attractive and they took a step ahead of modification. What about the Season 3? So, 2018 will be the year of ITB s3. This installmnet would carry a number of 15 episodes along with it. There’s spotted a new series regular- Lorraine Toussaint. She will be playing Cressida- a self-styled Prophetess and guide to Pilgrim. She is going to be a divine adviser, political consultant, and chief military strategist in the series. Toussaint fans must be waiting to catch up with her role. She was a series regular in one of a recently abandoned Fox forensics procedural ‘Rosewood’. She transformed her in the role of a mother of Morris Chestnut’s titular personality. Her achievements include works in some TV series like The Fosters, Forever, and Orange is the New Black. Plus, she acted in some films like Girls Trip, Selma, and Dangerous Minds. Combining the clues, we got to know that season 3 of ITB would be showing its glance at AMC in the year 2018. Spring seems to be the suitable premiere time. AMC renewed it for the next installment in the middle of season 2 back in April. According to the network, it averaged 3.6 million viewers per episode. It has been ranked #4 scripted drama on cable, only behind The Walking Dead, FX’s American Horror Story, and Fear the Walking Dead. Related: White Collar Season 7. ‘Into the Badlands’ has collected huge ratings from the viewers. All the credit goes to the creeators and showrunners of the show. The team cast deserves a huge love from the fans for their die hard efforts and work. Fans must be excited to know about the casting team. So, the glamour would be taken to a higher level by Daniel Wu, a Hong Kong star who will be acting as Sunny. Here, Sunny seems to be a former assassin (a Clipper). The first installment ended featuring Sunny along with his former ‘baron’ Quinn is hunting out the way to reach out his home to his love Veil and newly tiny born child. Here, Veil’s part is being played by Madeleine Mantock. Further, the series will go on casting M.K. (Aramis Knight), Sunny’s apprentice. And The Widow acted by Emily Beecham. Other co-stars include Stephen Lang, Ally Loanides, and Sarah Bolger. Related: The Flash Season 4. Stay tuned to TheReporterTimes for more tv series updates around the world.